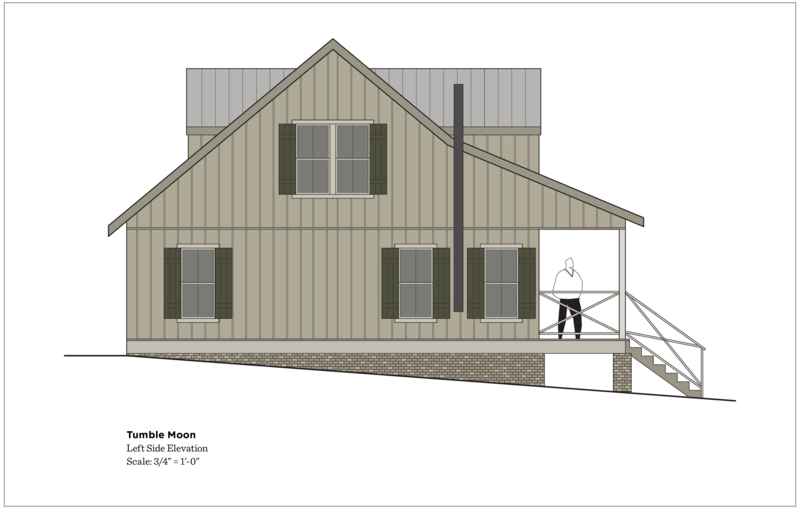 (above) This elevation has also changed. The chimney pipe for the wood burning stove has been added, and the second floor window has doubled in width, because the view from here is magnificent. (above) There are a whole lot of changes on this side. The back door has moved to the this side, and there’s now a doggy flap-door right next to it. On the second floor, instead of the small window and fire exit door, we now have a double window that will serve as an emergency exit. 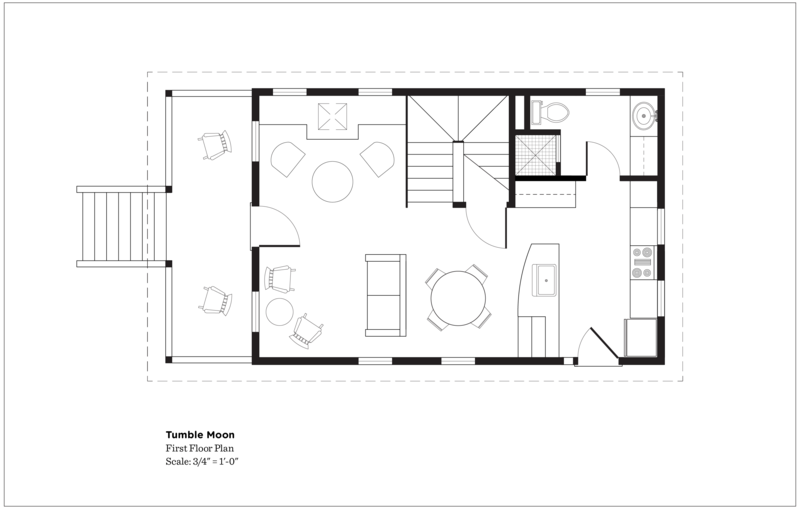 (above) The ground floor has a total of 532 square feet. The kitchen area has been rearranged considerably. Plus there are changes in furniture placement. Under the stairs, you will notice a door leading to what looks like a closet. 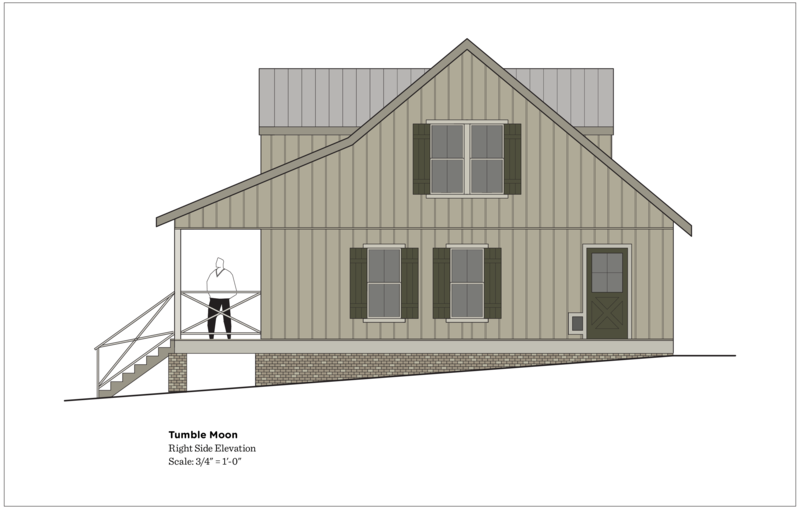 This will be storm shelter. Since this property is located smack dab in the middle of tornado alley, I thought it would be wise to have some place to keep my dogs safe during a storm (and me too). 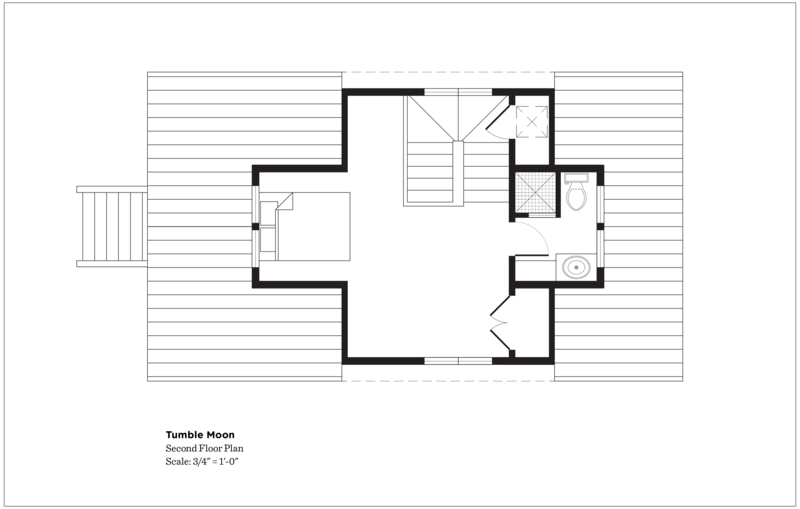 (above) The second floor with the master bedroom and bath has a total of 290 square feet. Other than the window at the bottom of the drawing, nothing else has changed in this plan. Charley has been drawing up the construction documents, and during this process he realized he will need to extend the bathroom further out onto the roof to make this room structurally secure or something like that. This will increase the square footage upstairs. But having a slightly larger bathroom is just fine with me. I still don’t know what kind of furniture will be needed for the lower left corner. No hurry. 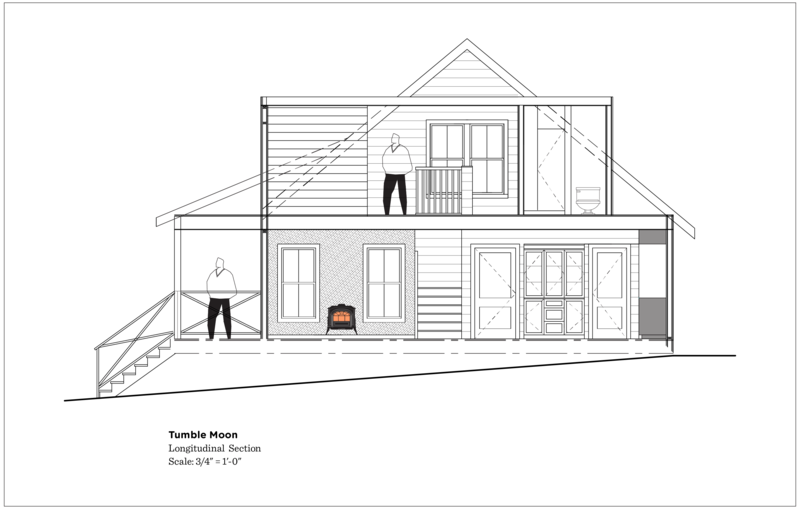 (above) By cutting away half of the house, we can see what the other half is up to. 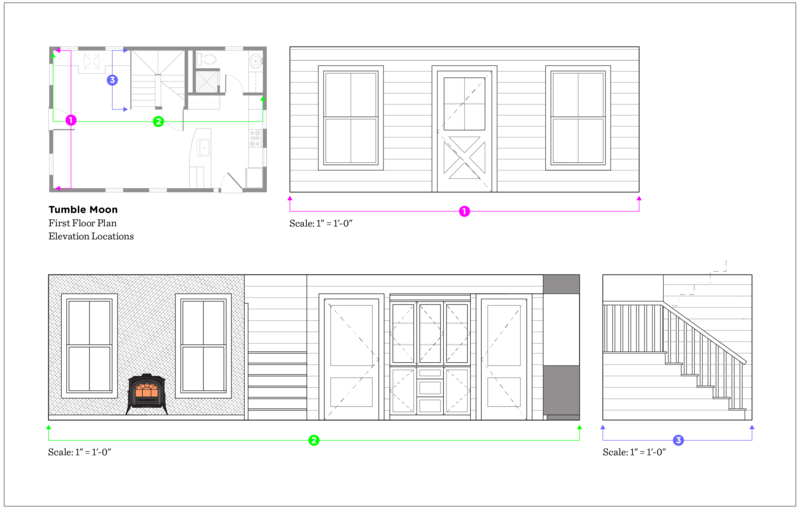 My floor plans and elevation drawings should help you understand this section drawing. 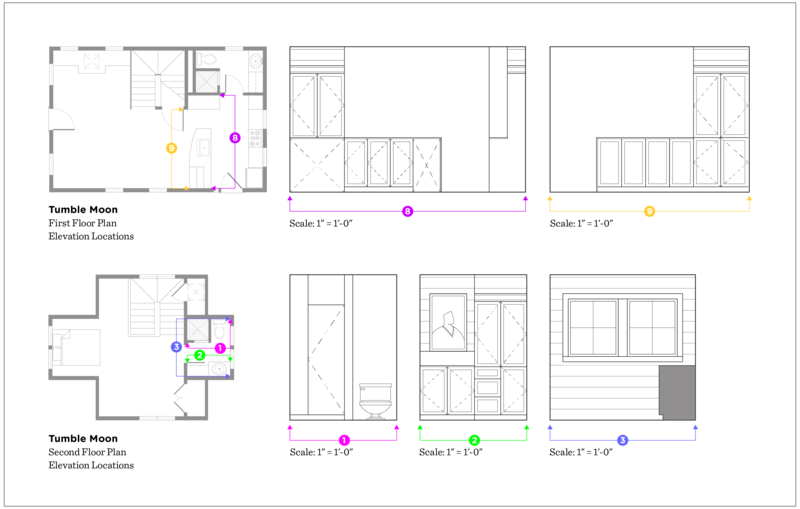 (above) The color coded dots and arrows should help to understand where the elevations are located within the floor plan. Please click the image for a much larger version. (above) If you’re wondering who the strange men are, don’t worry. They’re two dimensional and only serve one purpose, scale. 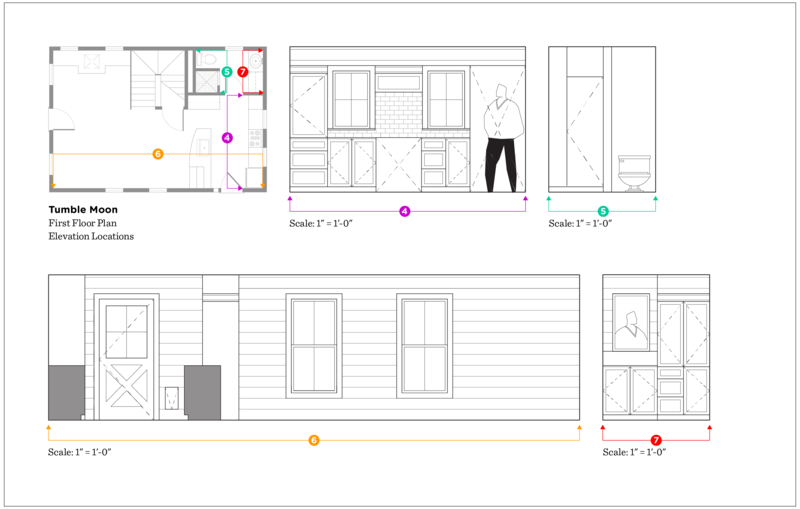 (above) Dot 8’s elevation shows an empty space under the cabinets (far lower left). This little nook is where my dogs’ bed will be. 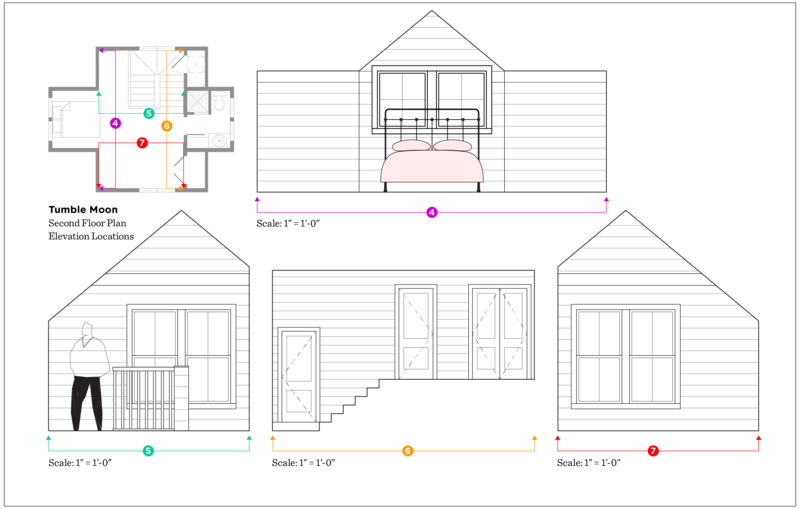 Elevations 1, 2, and 3 on the second floor do not show the correct ceiling height. 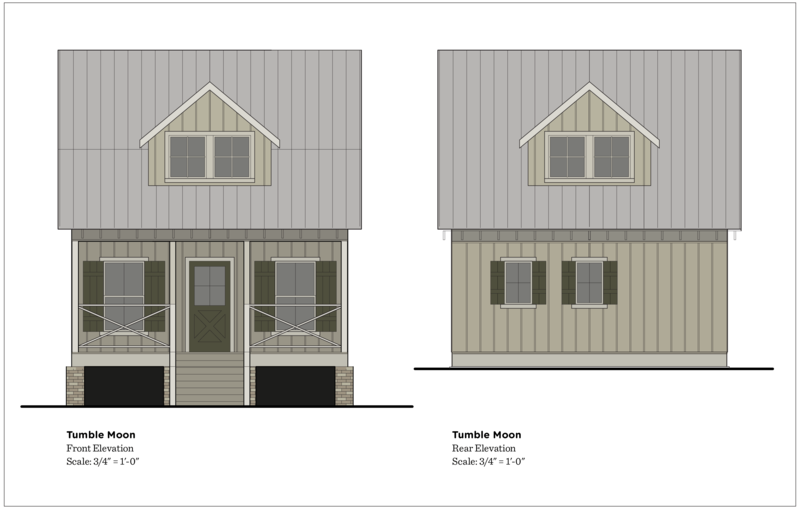 With all the different gable pitches, it’s hard to depict, but will be addressed correctly in the CDs. (above) As you can see, I’ve already selected my wrought iron bed, but not the linens.